A low carb and entirely sugar free take on classic shortbread biscuits. 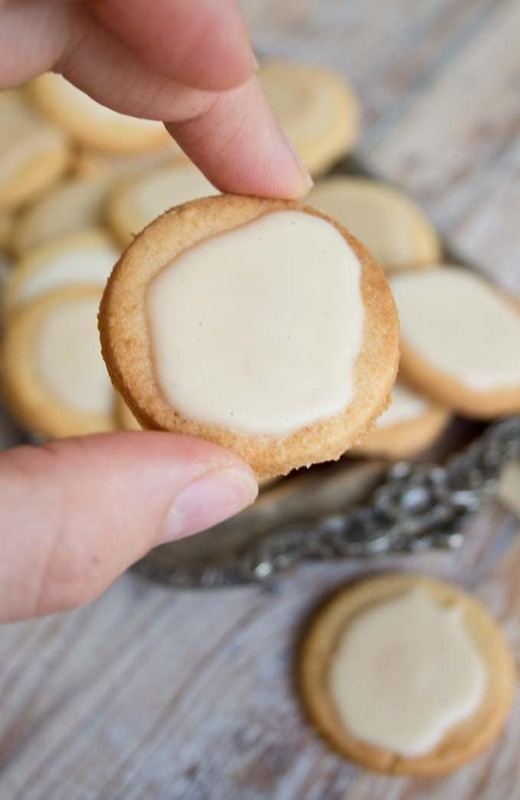 Keto Shortbread Cookies are light, buttery and crumbly with a deliciously rich coconut butter glaze. Perfect for diabetics, gluten free and ketogenic diets. It’s autumn and I’m in the mood for cookies. 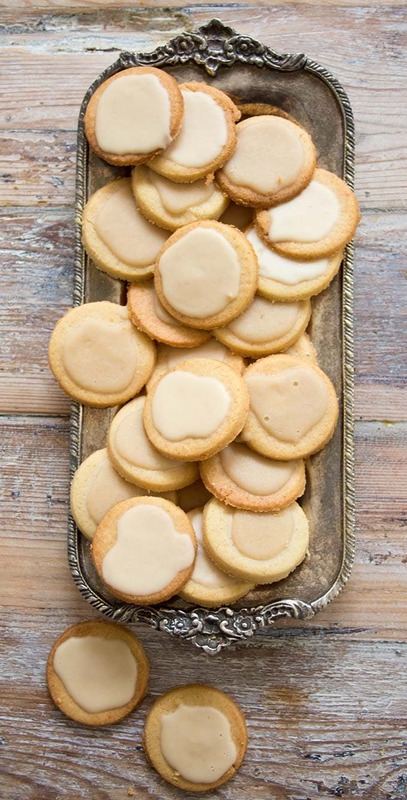 Crumbly, buttery cookies that melt in the mouth and go perfectly with a strong cup of coffee. Shortbread cookies! There is something comforting about a homemade cookie that kind of makes up for all the rain, clouds and below-acceptable temperatures that the next six months will bring. You can eat all the salads, naked burgers and cauliflower rice in the world (and enjoy it). But when you sit down with a steamy hot drink and look at the falling leaves outside, a cookie just hits the spot. Here’s the thing. Regular cookies have a serious shortfall in the health department. They are loaded with the two things we should all firmly remove from our shopping list: Wheat flour and sugar. Both provide empty calories and have zero nutritional value. If you base your diet on refined carbs and quick sugar fixes, you’ll grow your waistline and still leave your body starving because you don’t provide it with the nutrition it actually needs to function properly. If you take it to the extreme, you may even risk becoming insulin resistant, which can ultimately lead to type 2 diabetes. I don’t think that dessert or sweets should or need to be part of our everyday diet. Getting into a savoury frame of mind is definitely a common sense-decision that leaves you with many delicious foods to choose from. But. We all want a sweet now and then. And how sweet is a treat when it’s actually good for you! 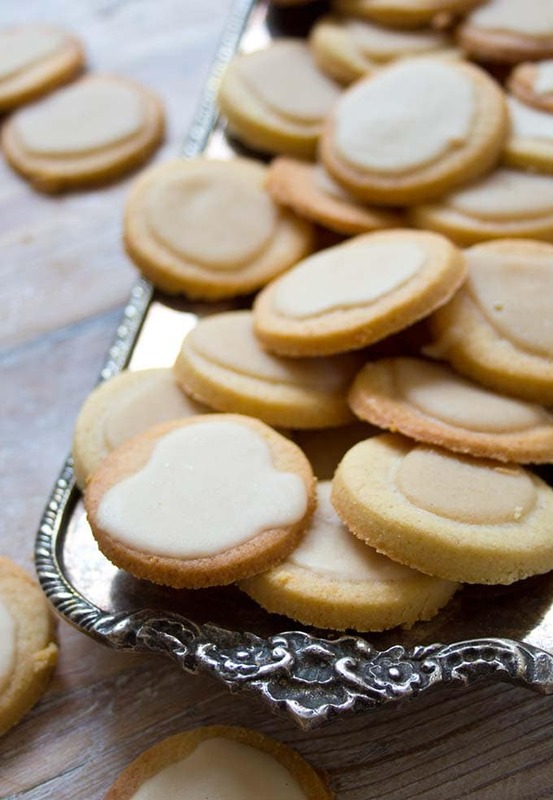 These Keto Shortbread Cookies have a wonderfully crumbly texture and the rich buttery flavour of traditional shortbread or sugar cookies – with the added twist of a coconut glaze. At the same time, they are sugar free, gluten free and low carb. These cookies are a little lighter and more tender as nut flours lack the binding function of the gluten in wheat. They are fragile straight out of the oven, but firm up nicely when they cool down. To increase the stability of the cookies, you could add 1/4 tsp of xanthan gum, which is hailed as the gluten free baker’s secret weapon. I tweaked the recipe for my Sugar Free Cut Out Cookies to make these Low Carb Coconut Shortbread Cookies. And because my cookie cutters are still in one of the many boxes labelled “winter” hidden in the attic, I used an egg holder to cut out round shapes. You don’t have egg cups? No worries. A shot glass works equally well. Or indeed, cookie cutters of any shape. I love everything about coconut butter, which is made from pureed coconut flesh. I love the taste, the texture, even the smell. It’s so moreish I could literally eat it by the spoonful (and sometimes I do). The coconut butter I used for the glaze is this one, which I found at an amazing price at Ocado. Whichever one you choose, just make sure it has no added sugar. And do not swap it for coconut oil, which is not hard enough at room temperature to be suitable for a glaze. Using coconut butter means your glaze will become hard, but not rock hard. 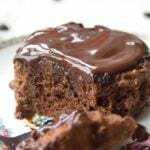 I experimented with both stevia drops and the Sukrin Fibre Syrup as a sweetener. Both worked well – I noticed that the brown colour of my fibre syrup made the coconut glaze a little darker than the stevia-flavoured version. Using powdered erythritol might make the glaze even firmer. 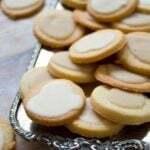 If you are after a more traditional sugar cookie glaze, simply mix some powdered erythritol with water and maybe add some vanilla flavouring. This mix will harden completely. 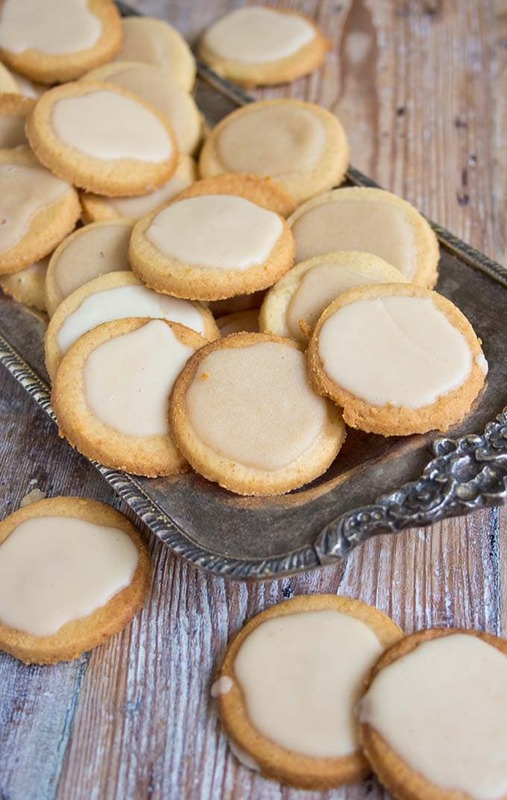 I hope you’ll enjoy these Low Carb Keto Shortbread Cookies as much as we did. I just went back to the kitchen to get myself one. And found, to my disappointment, that they had been gobbled up. Clearly should have hidden them better. 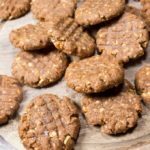 If you are a cookie monster like me, you could also try these chocolate chip cookies or these super-nutty sugar free keto pecan cookies or hazelnut low carb keto cookies. Bring on the bad weather! 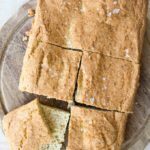 A low carb and entirely sugar free take on classic shortbread. 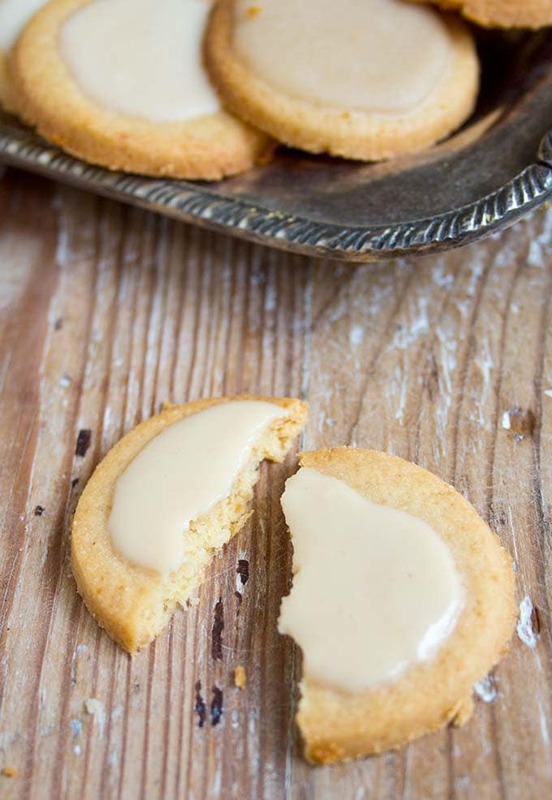 Low Carb Keto Shortbread Cookies are light, buttery and crumbly with a deliciously rich coconut butter glaze. Add the softened butter, vanilla/almond extract and stevia and mix until you have a smooth dough. Divide the dough into 2 balls and roll out between 2 sheets of baking paper. Place the dough in the fridge for 10 minutes. This will make the dough easier to work with. 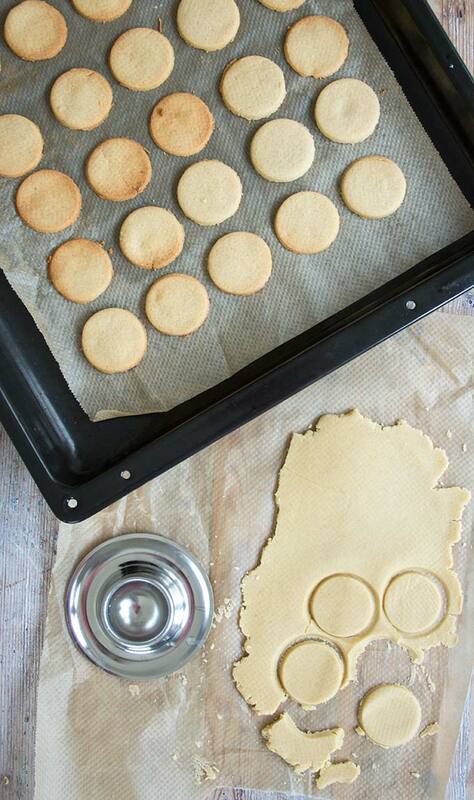 Using a small glass, a cookie cutter (or like me, an egg holder), cut your cookies. Place cookies on a baking sheet lined with parchment paper and bake for 6 minutes or until the edges begin to brown. Let the cookies cool completely before adding the glaze. Warm the coconut butter in a pot or in the microwave and stir in the sweetener. You can use stevia or powdered erythritol for this. 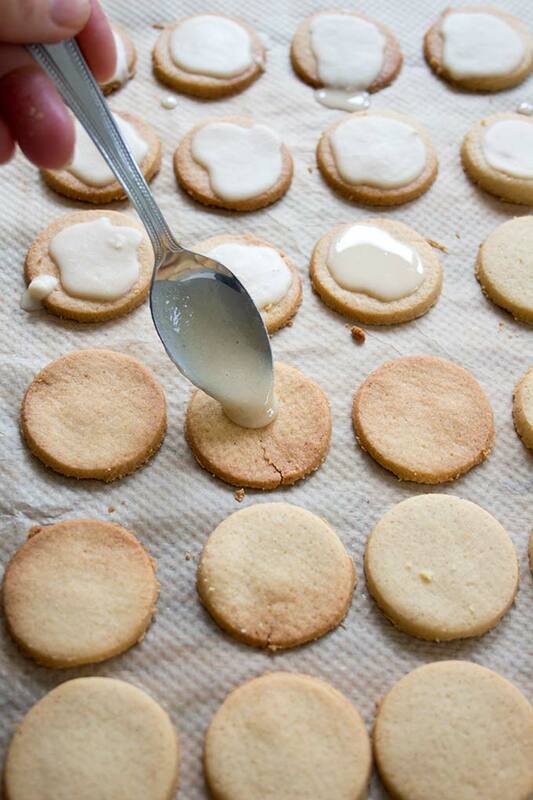 Spoon over the cooled cookies and wait for the glaze to set before 1) eating or 2) storing in an airtight container. Do let the cookies cool completely before handling them. They are very soft and brittle when warm, but firm up and gain a lovely crunch when they are cold. I used almond extract to flavour the cookies, because I love the taste. Vanilla extract would work equally well. If you don't have either, don't worry. 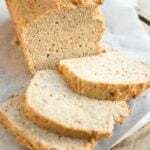 You'll still get the mild coconut taste from the coconut flour and the brown sugar taste from the Sukrin Gold, if using. You could also use flavoured liquid stevia - I love either caramel or vanilla flavour. I experimented with both caramel-flavoured stevia drops and Sukrin Fibre Syrup for the coconut butter glaze. Both worked well. The coconut glaze does not become rock hard. I love the gentle coconut taste, but if you prefer, you can also mix powdered erythritol with a bit of water and a splash of vanilla. This makes a glaze that hardens a lot more. I made 40+ small cookies that weighed around 6g each (the glaze came in at around 1g per cookie). I didn’t see anything on how thick to roll, so we estimated 5mm? I made these cookies today. They are delicious. Will definitely make again. However I made a lemon glaze. They are excellent. Thanks for great recipes. Glad you liked them Vickie! These cookies are awesome. I have tried a few recipes and they did not taste at all like a shortbread. These are excellent and give me a cookie I can tip in my tea which I have missed. I’m a huge fan of shortbreads so I made little Christmas biscuits with your shortbread dough and OMG they’re amazing!! Thank you again, and have a wonderful Christmas! Hi Estelle, so glad you like them!!!!!! I didn’t see an option for converting it to ounces /US measures. Is that available? These are delicious and elegant. 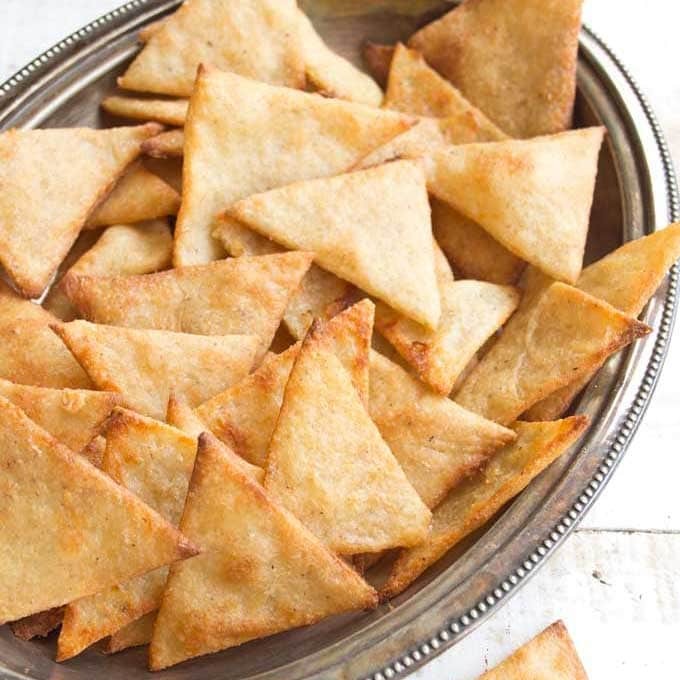 I made them into Almond Thins by rolling sliced almonds into the dough and slicing into . 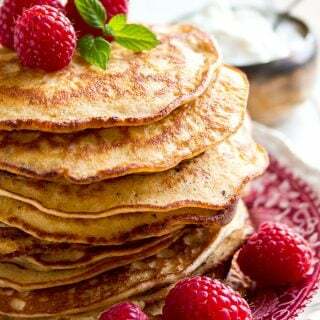 Enjoying them with keto lemon curd on a cloud of Greek Yogurt. Thank you for sharing!! I wish it would let me post my picture.! I only have coconut flour, can I replace the almond flour 1-1 with coconut flour? Hi Charlie, you can use only coconut flour, but you cannot replace it 1:1. Coconut flour is more absorbent than almond flour, so you would have to use less of it – start with 1/2 the amount and see if you get a good cookie dough consistency. I will give it a go thank you. Can these be frozen or how long do they last in a sealed container? Gosh, aren’t computer problems annoying? Maybe try again now? Hi! 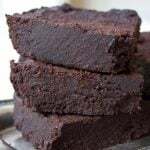 Would the recipe work with all almond flour, or with coffee flour instead of coconut? Also, I detest the flavor of Stevia – do I need more granulated sweetner if I eliminate it? Thanks for what you do! Hi Cathy, you can use only almond four, but you’d need to increase the quantity as it’s less absorbent than coconut flour. Swap the amount stated for coconut flour with double the amount of almond flour. If you do not like stevia, replace that with more granulated sweetener. I’m not sure what you mean with coffee flour – ground coffee? If you like the taste of coffee, you could add 1 tsp of ground coffee and maybe 1 tsp of super-strong brewed espresso? I”m using coffee in my recipe for German cinnamon stars – they have, as the name suggests, a lot of cinnamon and that works well with coffee. Any idea what can be subbed for the coconut butter in the glaze? I have never used that so don’t have any on hand. But I must make these immediately! Hi, Katrin–I just made a batch of these, and they turned out great! I substituted half of the erythritol with an equal portion of “Sugar 2.0+Probiotic.” It has half the carbs of regular sugar and no cooling effect or weird aftertaste. I didn’t bother adding the stevia in the dough recipe. It definitely helps to refrigerate the dough for 15 minutes or so–it not only firms up the butter, which makes the dough easier to handle, but also gives the coconut flour a chance to hydrate. 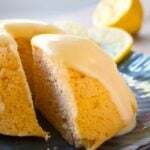 I didn’t use the glaze either–the flavor was fine on its own, but I can imagine adding some orange zest or lemon zest would really punch up the flavor and aroma. You can carefully move the shortbreads to a wire rack for cooling if just you let them sit on the cookie sheet for five minutes after you remove from the oven. I have really missed shortbread on my wheat-free diet and looking to use less nut flour too. So thanks for sharing this recipe! Thank you for your comment and I’m so happy you like the cookies. I checked out the sugar 2.0 – I don’t think it’s available in the UK. Sounds like an interesting product. I also love your idea of adding lemon or orange zest. I’m currently totally crazy about adding lemon zest to grilled courgettes and recently made a meatloaf (a bit off topic here but it was so good) with added orange zest. The flavour zest gives is just incredible! Hi Katrin , I see your post on a diabetic FB Group. 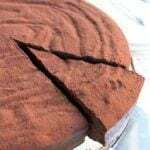 I like your post and its a fantastic recipe. Keep up the great work! Thank you Sam! What a nice comment. Have a great day, too! They are not as firm as shortbread made with wheat and sugar, but they don’t fall apart when you pick them up 🙂 If you wanted to increase firmness, a pinch of xanthan gum works well. Katrin, these are my new favorite cookies. I did not make the glaze, because I didn’t have coconut butter. I just dipped them in some melted chocolate instead. Delicious! Hello Katrin. I have made many of your recipes and enjoyed them thoroughly. I’m not much of a biscuit person, but I do like shortbread. I’ve got to say, these cookies look amazing! A quick question – how hard does the coconut butter glaze become? 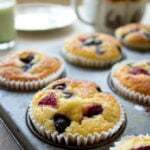 Hello Jacqui, it’s great to hear you’re enjoying the recipes on the site. The glaze is firm, but not rock hard. You can store the cookies in a jar and the glaze won’t smudge. I love the sound of the coconut butter glaze. 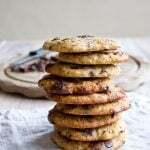 These cookie are on my to-do list for this weekend! Sounds like a plan 🙂 Let me know how you get on! Amazing cookies! Will definitely make these again. So glad you like them, Sally!